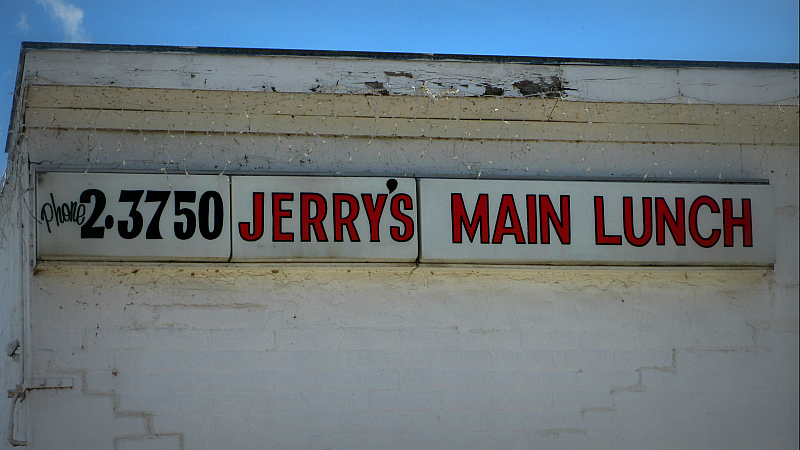 The sign still lists an five digit phone number from forever ago, and the media reports Jerry's has been open since 1946. 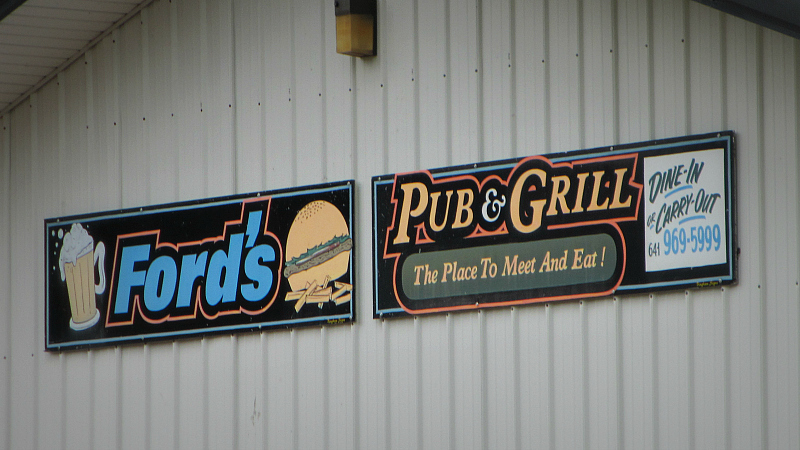 Jerry's Main Lunch has been featured recently in Edible Iowa River Valley, the Burlington Hawkeye newspaper, and WQAD television in the Quad Cities in a feature about landmark restaurants. 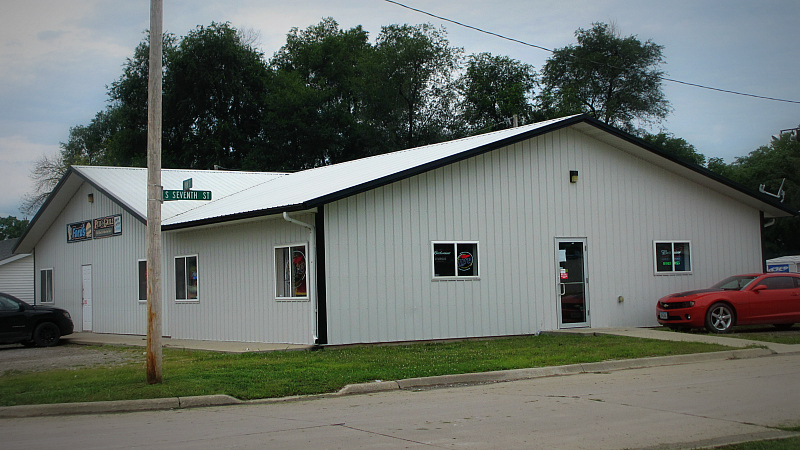 Location: 501 S Main St. in Burlington, Des Moines County in Southeast Iowa. Directions: You have to take Main St south from downtown and Jerry's is on the West side of the street. 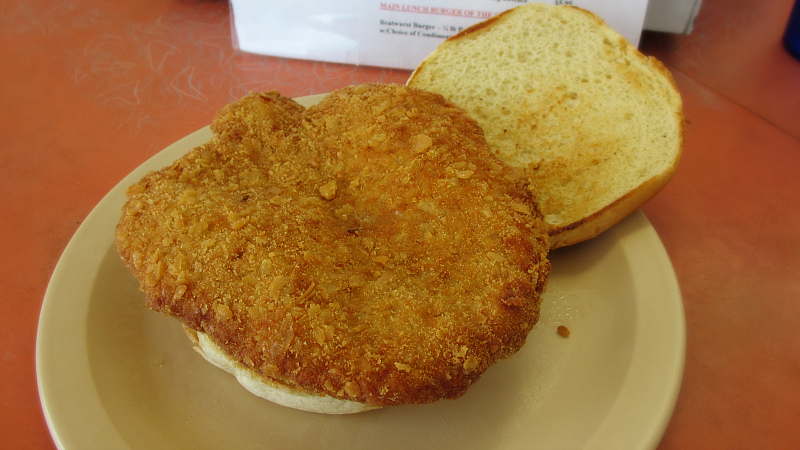 The Tenderloin: The crackerlike breading expanded from the loin meat and left an empty space that made the sandwich look bigger. It felt like a good seven ounces of pork, and the meat was steamy and hot. There was a hint of black pepper on the outside. 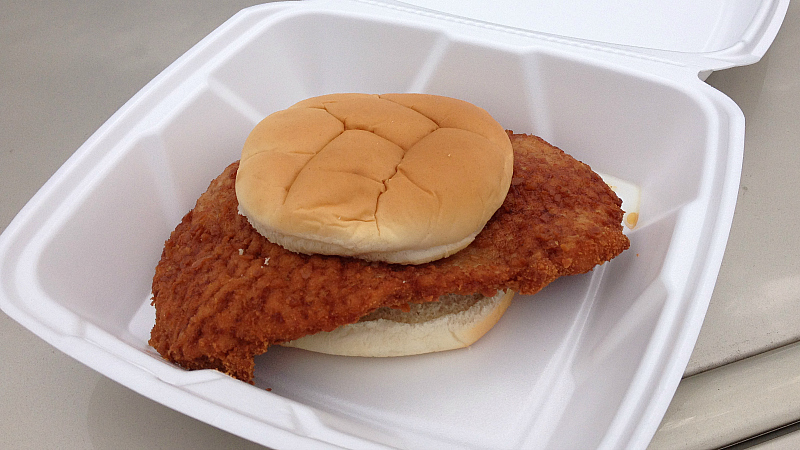 Served on a soft toasted bun with your choice of fixins. 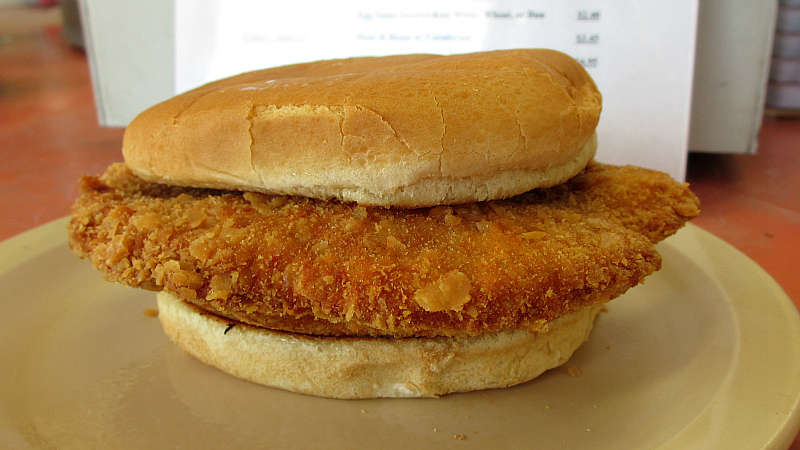 This was more about the experience of eating in a classic old diner than the actual breaded pork tenderloin. Overall 7.2 out of ten. Price: $4.70 also available in smaller size. Also on the menu: the specialties are the Breakfast Mess and the Jerry Burger, the menu is mostly standard diner fare with daily specials and homemade pies. 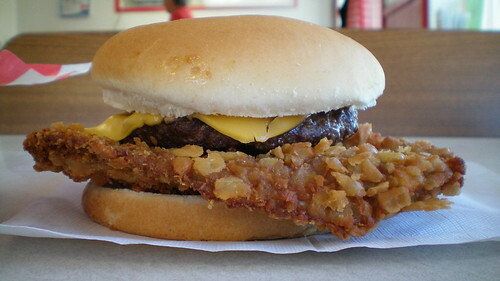 Service: Its counter service and the food is made right in front of you. Ambiance: Its a brick diner building from almost seventy years ago with fourteen seats on an L-shaped counter. The walls are covered with photos or old newspaper stories, and you can buy a t-shirt while you are here. 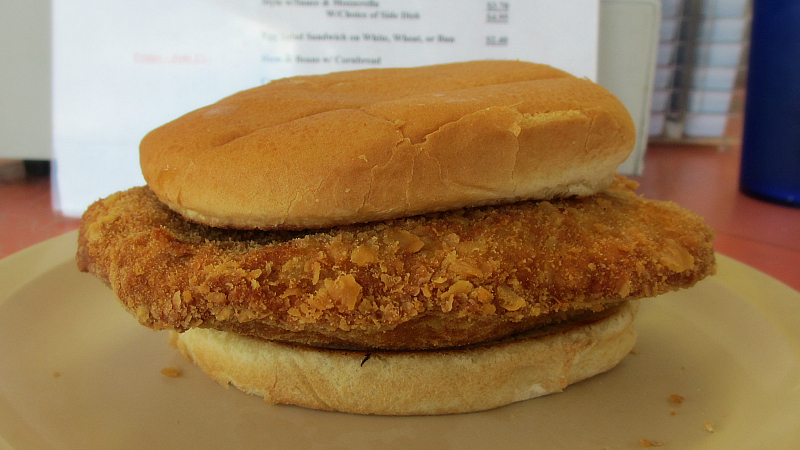 Final Thoughts: There aren't many places with as much history or family tradition as Jerry's Main Lunch. I think the family were talking about furniture when I stopped in during the off hours. 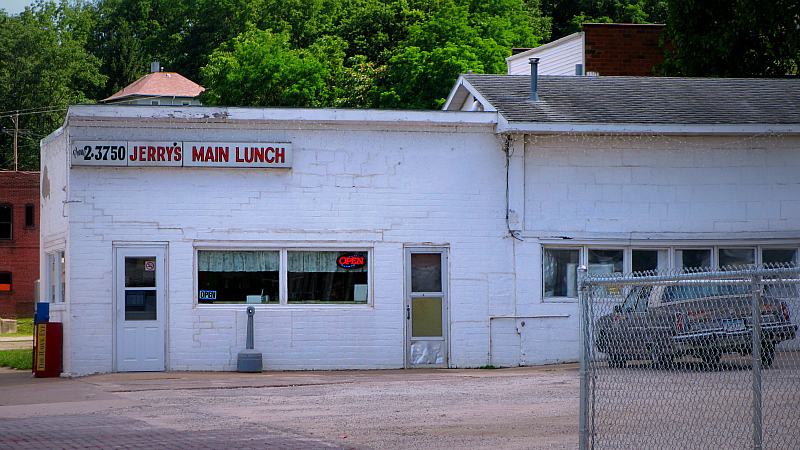 When I see Jerry's thriving it makes me surprised that nobody is trying to make it work at the old Valentine Diner parked beside the river in Muscatine. 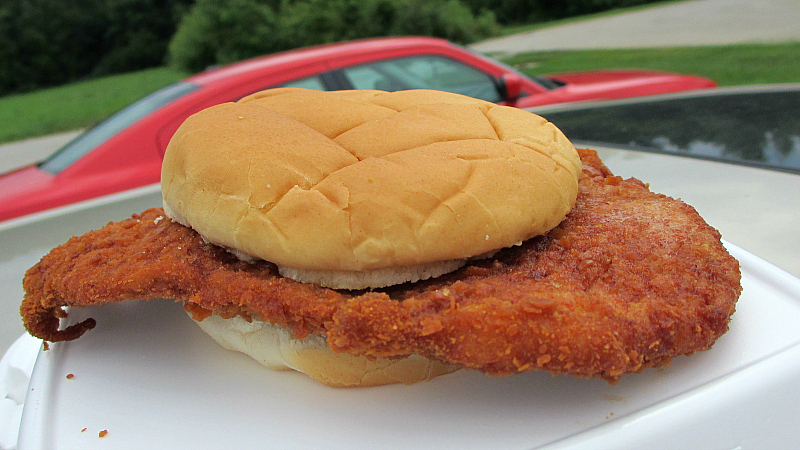 Just a reminder you can see my list of tenderloins near Highway 61 HERE.